Perceiving the popularity of Scotch Whisky and the various delectable drinks that could be made with them, Dewar’s – a recognised Scotch Whisky brand with a prevalence of over eight years in India has on-boarded Emily Thompson and Ernest Reid, to be the brand’s India ambassadors. WORLD OVER, Whisky has been a drink that caters to both the elderly as well as the millennials. According to multiple reports, India has recorded a substantial rank in the world in terms of per capita consumption over the past years. Similar has been the case for Scotch Whisky since it marked the entry into the Indian shores decades ago. Perceiving the popularity of Scotch Whisky and the various delectable drinks that could be made with them, Dewar’s – a recognised Scotch Whisky brand with a prevalence of over eight years in India has on-boarded Emily Thompson and Ernest Reid, to be the brand’s India ambassadors. The duo will spend over a year in different cities of India getting the varied asset of guests to experience Dewar’s line of double aged Scotch and delectable classic cocktails. India, which maintains a significant rank in per capita consumption of whisky globally, with multiple labels already serving the major audience, how do you plan to introduce Dewar's Scotch Whisky to the about-saturated whisky market? Emily & Ernest: India is the world’s largest consumer of whisky. Increase in disposable incomes, a rise of globetrotters and evolution of palates are redefining consumption of spirits across categories. The new-age audience is now willing to experiment and go a little overboard in spends to avail a premium experience. Dewar’s has been prevalent in India for over eight years now, and has seen a phenomenal tangible growth. With the Dewar’s premium range now fully launched across all priority markets & consumer trends shifting towards consumption of premium brands, there is a lot of scope for Dewar’s in the premium segment. Dewar’s is also the only blended scotch that is “Double Aged for Extra Smoothness”, adding superior taste to the dram. In addition to the product benefit, we’ve created sustainable platforms that bring alive our brand identity of “Live True” through culturally relevant platforms. Dewar’s premium range intends to become India’s go-to millennial scotch capitalising on unconventional millennial touchpoints. What are the tasting notes that Dewar's is popularly known for? Out of the range of Scotches by Dewar's which bottle would be ideal for the Indian palate? Emily: Honey is the consistent flavour in the Dewar’s range, due to the high content of the Aberfeldy single highland malt in the dram. The ideal bottle really depends on the consumer and whether they prefer bright notes of Dewar’s 12 years for complete smoothness and rich chocolate flavours. However, my go-to would be the Dewar’s 18 years, beautiful marzipan and dark chocolate flavours rounded by rich fruit and an unmistakable smoothness. Ernest: All of Dewar’s whiskies have base note of flavours that can be found in all the expressions but there is a progression and intensity with each age statements. For instance, honey is present in all expressions but Dewar’s White label and Dewar’s 12 have a fresh fruitiness to it, that of fresh apricot, ginger and stone fruits. However, as one moves on to the Dewar’s 15, those same fresh flavours intensify into cooked flavours and as one moves further to Dewar’s 18, those flavours have evolved into stewed fruit flavours. Hence, it’s fairly simple to remember how the tasting notes go from fresh to cooked to stewed or dried. All of Dewar’s premium range is double aged, and this double maturation process is pretty unique to the brand. The new blended batch is matured for a further six months or so in an American oak ex-bourbon barrel which imparts a vanilla and toffee base flavour to all the Dewar’s age statements, giving it a well-rounded smoother taste. What are your views about the Indian customers and their exposure to Scotches? Are you considering to introduce the Indian customers to some new tasting notes? How do you plan to do the same? 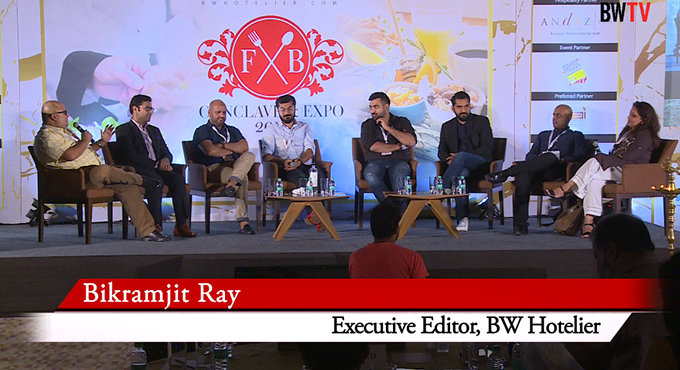 Emily: While whisky in India is certainly a huge market, due to the excise laws there is a lack of range specifically for scotch within the industry compared to elsewhere around the world. However, consumers here, despite the smaller pool to choose from, have an exposure to scotch whether it has been in bars, from their travels or gifts. The new age drinkers are discerning in their choice and are constantly on the lookout for an upgraded experience. In my time here, I’ve learnt that educating consumers about Dewar’s product benefit is the best way to introduce new drinkers to the brand and is the extra step that the brand takes to ensure a more well-rounded & smooth experience. Dewar’s is aged, blended and aged again (for about six months), to produce a dram extra smooth for every Scotch lover. Ernest: Indian Scotch drinkers traditionally know their drinks well and are loyal to their preferences. My role as the Dewar’s ambassador is to not only inspire these traditionalists, but also bring first-time whisky drinkers to experience the brand. The best way to do so is by highlighting the history and the unique techniques that Dewar’s implements. While millions of Indian consumers sip on highball, rarely do they know that it was invented and promoted by the founder Tommy Dewar’s. Dewar’s has a lot of tasting notes to be found, it truly is expertly engineered to have layers of flavours, so to use it as a cocktail base is quite easy if one knows how. One of my methods is to get the consumer familiar with it neat and then expand from the flavours I discover. Through your multi-city tour across India, which cities (metros) are you primarily focusing on? What potential do you see from the Tier-II, III cities from the Indian market for your Scotches? E&E: With cocktail culture booming in India’s metros, our focus will be to introduce the Dewar’s premium range in the cities of Delhi, Bangalore and Mumbai. When speaking of India’s Tier II and III cities, that are evolving to adapt to this culture, we’ve observed a sizeable increase in appetite for premium products. People are keen to spend more and experiment with their palates, as travelling becomes affordable, and international drinking culture creates an influence. The Old Fashioned & Whisky Sour cocktails have been highly popular in India since past couple of years? Are you planning to introduce any new variants of cocktails to the Indian market with Dewar's? Emily: A Penicillin, my personal favourite is something I have been pushing since the combination of ginger, honey and scotch is also something that the Indian palate receives really well. Using a cocktail with honey notes also compliments the Dewar’s flavour profile. While a Penicillin is not strictly a new drink, subtle twists on classics such as using green tea syrup rather than sugar in Old Fashioned are instrumental in expanding the palate and helping people become comfortable with new variants. Things like a Dramble with whisky, lemon juice, sugar and creme de mure perfectly suit the Indian taste buds. The Dramble and Penicillin are also signature serves for Dewar’s 12 years. Ernest: These classic cocktails are traditionally made with bourbon so while I will be serving variations with Scotch, I will also be offering classic English cocktails such as the Rob Roy and Rusty nails. I do have a few unique cocktails and infusions I’m keen to serve and see how they are received.